Purchase Opportunity The church, annex and parking lot are for sale. The facility is approx. 12,000 square feet (112 E. Church Street, Clinton). We are interested in selling the buildings separately. The properties would need to be split. This makes the church much more affordable. 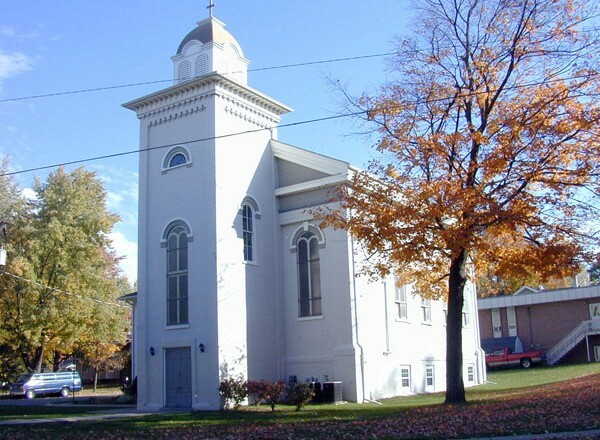 The property was built in three phases starting in 1865 with an addition to the church in 1919. The annex was built in the 60’s. The baptismal pool is to the north side of the altar. 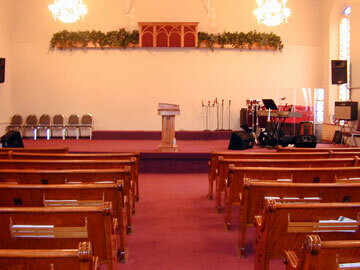 It is visible to the congregation. 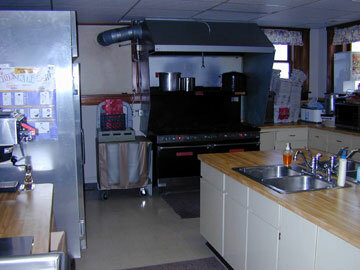 The kitchen has 8 sinks, refrigerators and freezers, and 2 stoves (with 10 burners). The overall size is 22 ft by 18 ft with double doors onto the fellowship hall. 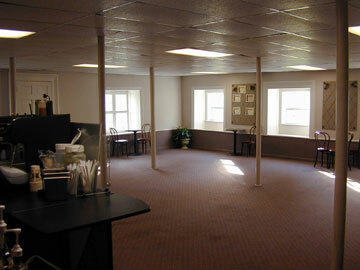 The fellowship hall is on the lower level of the building and can seat up to 150. The kitchen is adjacent with double doors onto the fellowship hall. 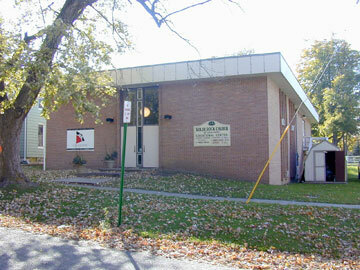 The fellowship hall is 36 ft by 36 ft. The building has a pitched roof with asphalt shingles. Classrooms The annex building has the classrooms (6) and offices (2) for the property. 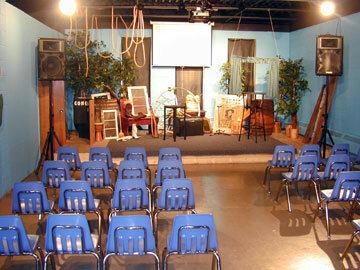 The classrooms vary in size from 21 ft by 16 ft, to an L shaped room that seats 40 with a small stage (high school fellowship room). 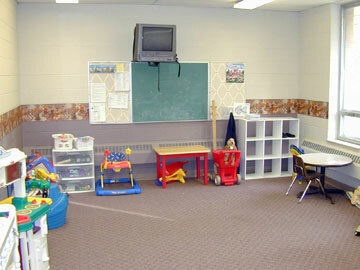 The are two offices in the building, more could be added by converting a classroom to office. 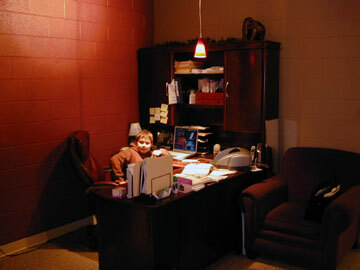 The pastor’s office is on the lower level and is approx. 16 ft by 16 ft. The annex is heated by a boiler that provides warm water radiant heat. The annex has a flat roof. 26 parking spaces). The church has a cross parking agreement with the Village of Clinton. The Village of Clinton maintains the parking lot (snow plowing). The parking lot is owned by the church. Congress authorized money for the survey of a military road between Detroit and Chicago in 1825. The intersection of the road and River Raisin was a natural place for a settlement. At the same time the Erie Canal was opening the Great Lake Basin to pioneers from New York. They named this community in honor of DeWitt Clinton, governor of New York.The road from Detroit to Chicago needed stops for the stagecoach. The stagecoach started as semi-weekly and grew into a daily route by 1835. Clinton was incorporated in 1837. Within a decade of its settlement, the village had 10 general stores, several blacksmith shops, and a hardware store. The Atlas Fee and Grain Company was established in 1836.